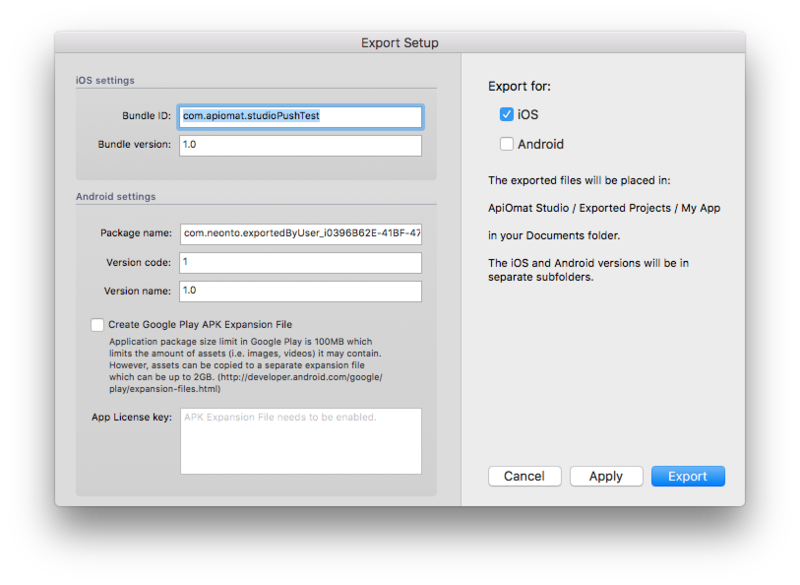 Open up the app in iOS simulator, Xcode or Android studio to check its responsivness and take a closer look at the code before exporting your project. You can do this by clicking on the corresponding button in the toolbar at the top of the screen. This will give you a better impression of how the app will look and interact in real life. Navigate in the main navigation to File > Export Screens As PNG. A tap in the finder will open a folder where you will find all screens of all available devices. Click on Export in the top toolbar. The Export Setup will appear. Edit the details and export the project.